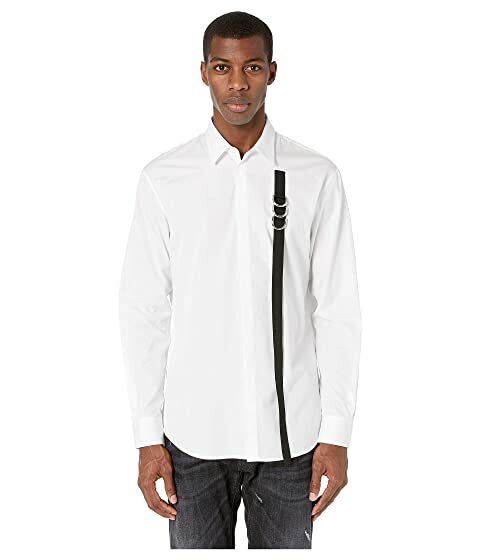 Make a intense impression in the stylish DSQUARED2™ Flying Tape Relaxed Dan Shirt. Contrast fabric strap decorated with silver-tone cylinder hardware featured at left side. We can't currently find any similar items for the Flying Tape Relaxed Dan Shirt by DSQUARED2. Sorry!